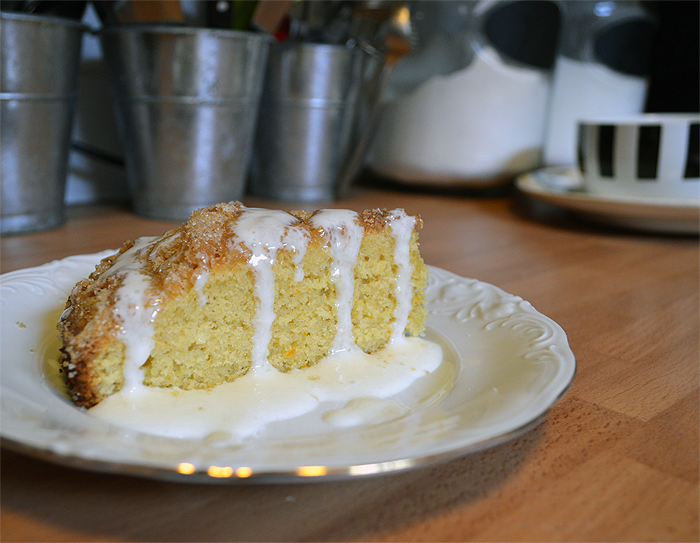 Orange Semolina Cake with Demerara Sugar Crust - Sugar, Darling? Bank holiday weekends are just made for baking. 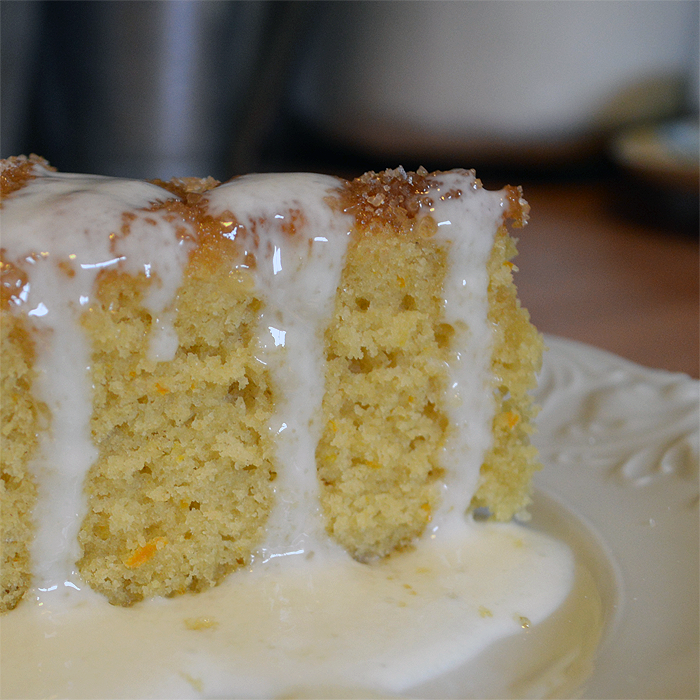 My MIL asked me to whip up a cake for Sunday lunch to go with the mango ice cream she was making and so I figured a nice simple but citrussy cake would work best. I decided to go for a semolina cake as I've never baked one myself before and as semolina cakes are nearly always flavoured with citrus fruits, so it was a no brainer really. Naturally I gave the recipe a 'Nancy twist' and made a few amendments to this recipe from queen Martha. It turned out perfectly and was so soft and moist with just the right amount of orange-ness from the juice and zest. I decided to use golden brown sugars instead of the normal caster in the recipe as I love the slightly caramelly flavour that they give, I figured it would work with the orange to give a crepe suzette like flavour and it did just that! I also swapped the regular sugar on the topping for demerara as I thought it would stay crunchier which would be a nice contrast to the soft cake underneath and again this worked like a dream. 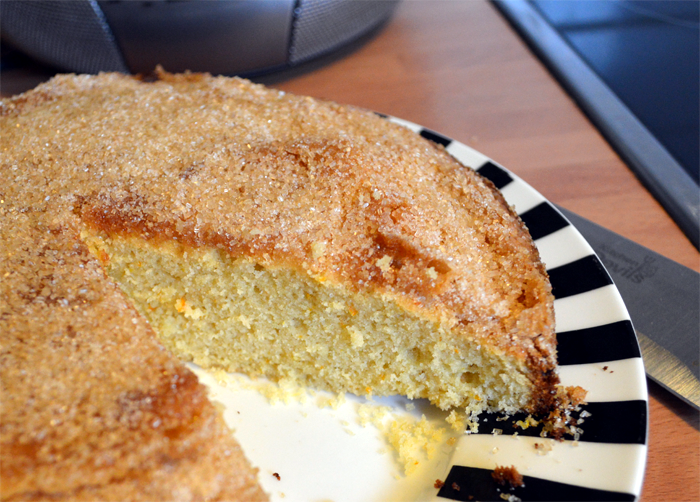 Did I also mention that it's one of the easiest cakes ever to make? I love this so much it might well have earned a place on the dessert table for the wedding party! Preheat oven to 180C / 360F. Oil an 8" round cake tin and line the bottom with baking parchment. In a bowl whisk together the olive oil, eggs, golden caster sugar, light brown sugar, orange juice and vanilla extract until well combined. 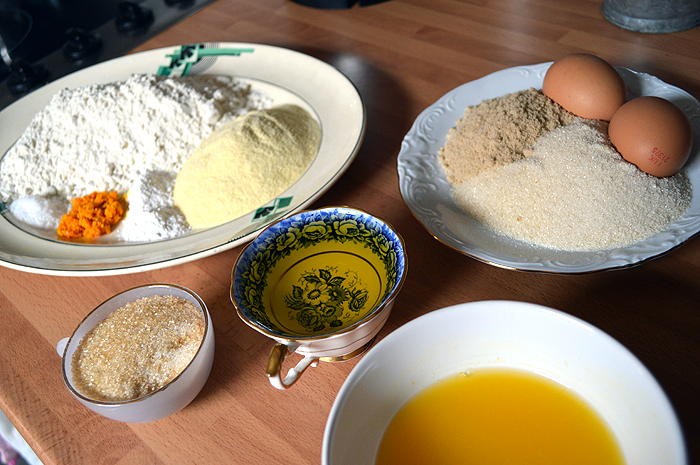 Pour in all the rest of the ingredients except for the demerara sugar and whisk gently until combined with no lumps. Pour into your prepared baking tin and sprinkle the demerara over the top in an even layer. Bake in your preheated oven for 30-40 minutes until the cake is coming away from the edges of a pan and a cocktail stick poked into the centre comes out clean with only a few crumbs. Let cool for 20 minutes them remove from the tin and let cool completely on a wire rack. Serve on it's own or with the topping of your choice such as ice cream or whipped cream, however I like this with creme fraiche or sour cream mixed with a little sugar to contract against the sweetness.